?-? 4 Stained glass grinder heads 1", 3/4", 1/8",1/4". ALL Standard grit. ?-? 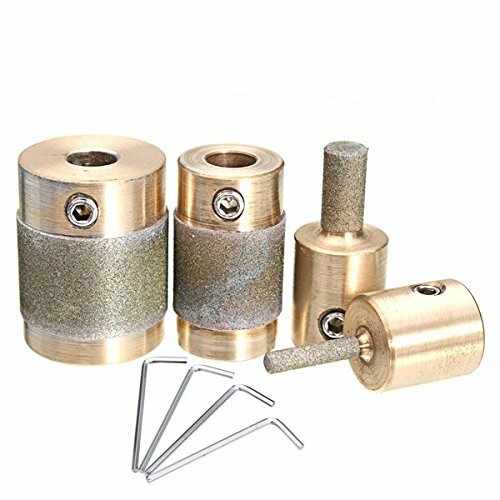 Diamond abrasive bonding surface is double plated for strength and long life. ?-? Suitable for shaping and drilling tile, glass, stained glass, stone and other hard material. A quality tool for professionals and hobbists. Note:The color may have different as the difference display, pls understand. View More In Flap Wheels.